Manchester is one of the biggest cities in the United Kingdom. It has been a favourite tourist destination of tourists from all over the world for years. This gorgeous city is visited by thousands of people every year. There is a lot to see in city such as the historic Boddingtons Brewery, the beautiful Urbis building, historical monuments and a number of theatres. The walks around the city are also very popular among tourists. Car rental solutions provide you an amazing chance to explore this city quickly and are highly recommended. In Manchester, accommodation is never a problem as a number of world class hotels can be found in every district of the city. These hotels provide exceptional hospitality services to guests. Numerous nightclubs, bars and cafes offer the fun loving a chance to have a great night out in Manchester. 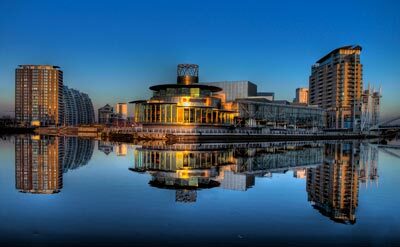 In addition, the major tourist attractions of the city include Urbis, Boddingtons Brewery, Bridgewater Hall, Hack Green Secret Nuclear Bunker, Printworks Leisure Complex, Fairfield Moravian Settlement and a lot more. Car hire was designed for those who want to make the most of every moment of their holiday. Urbis is situated in the city centre and is a popular venue where you can see a number of exciting interactive exhibits and different cultural and seasonal events. The Conservatory Café is a well known cafe and gift shop in this area where you can purchase some beautiful gifts to take home. You can also visit the Aviation Viewing Park of the city to see one of the few remaining Concorde aeroplanes, one of the most famous planes ever made. Besides this, at Boddingtons Brewery the tourists can enjoy beautiful views of historical buildings and find out more about this iconic beer. Bridgewater Hall is the venue used for many concerts and these are held there every week. Manchester car hire could not be easier to arrange and makes it so easy to visit all of these attractions. Manchester is well known for its shopping facilities from the high street stores in the Arndale Centre to the designer boutiques which fill the small arcades. At Christmas, the European markets fill the pedestrianised areas and the squares and ensure a very festive atmosphere where you can enjoy a glass of mulled wine and purchase gifts and food items. Manchester car rental is the best way to get all of your purchases home again and will help to make every moment of your stay in the city go smoothly. Last month, the average car rental length at Manchester Airport was 7 days. The average rental car length at Manchester Airport is 6 days. The most booked rental car type currently at Manchester Airport is COMPACT cars. Last year, the most booked rental car type at Manchester Airport were COMPACT cars. How much does it cost to rent a car at Manchester Airport? Last month, the average car rental price was 180 USD. Last year, how much did it cost to rent a car at Manchester Airport? Last year, the average car rental price was 200 USD. What is the current average daily price to rent a at Manchester Airport? Last month, the average rental price was 26 USD per day. How much did it cost to rent a car at Manchester Airport over the past 12 months? Last Year, the average rental price was 34 USD per day. The car rental companies available at Manchester Airport are: Alamo, National, Enterprise, Green Motion, Interrent, Easirent. See below last 5 customer reviews. Our customers rated Manchester Car Rental with an average of 0.00 based on 0 ratings.